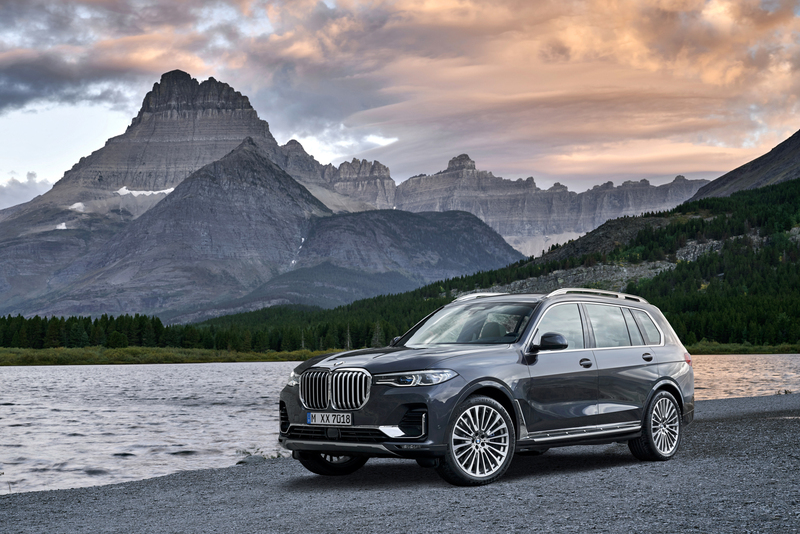 The BMW X7 is the brand’s first-ever entry into the full-size luxury SUV segment, a segment dominated by the Range Rover and Mercedes-Benz GLS-Class. 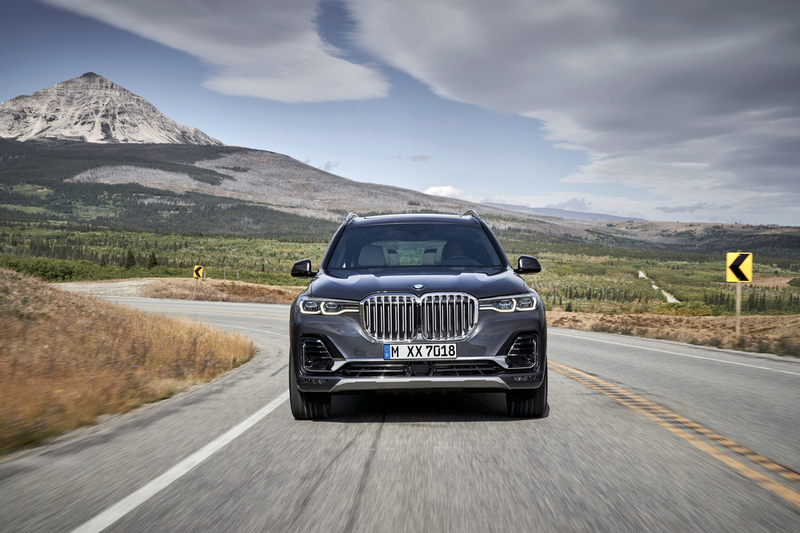 The latter of which is likely going to be the X7’s main competitor, as it’s from BMW’s most rivaled brand and it’s also one of the absolute most popular cars in the segment. One could almost argue that the X7 was developed solely to take on the GLS-Class. So let’s see how they stack up. In fairness, a brand-new GLS-Class is on its way and this current car is quite old. However, the new GLS hasn’t been revealed yet so we have no way of comparing the X7 with the new car. So we’re going to see how it compares with the old one for now but will have to update when the new GLS launches. 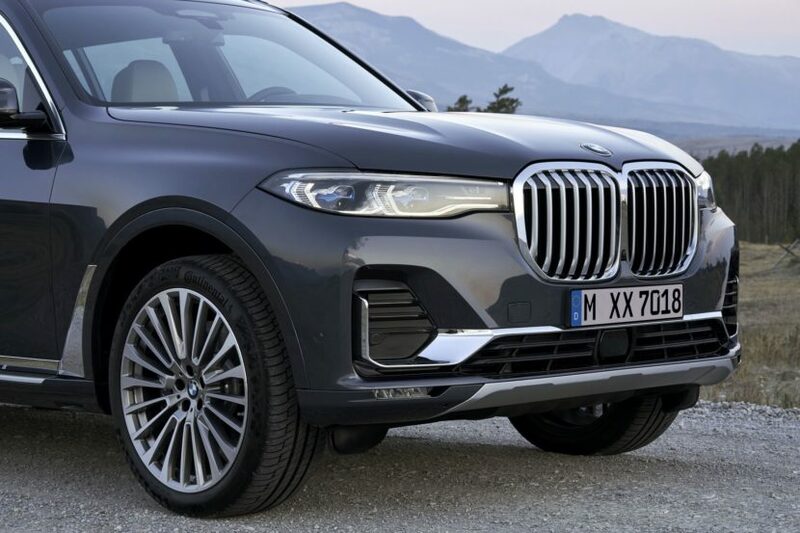 From the front, it’s clear that the BMW X7 is the far more brutish looking car of the two. Its massive Kidney Grilles are more upright and its entire front end is more in-your-face. The GLS by comparison is sleeker, maybe even a bit prettier, even though it’s still quite brutish in its own right. But when compared with the X7, it’s downright delicate. I have to give the win to the Mercedes because of that. 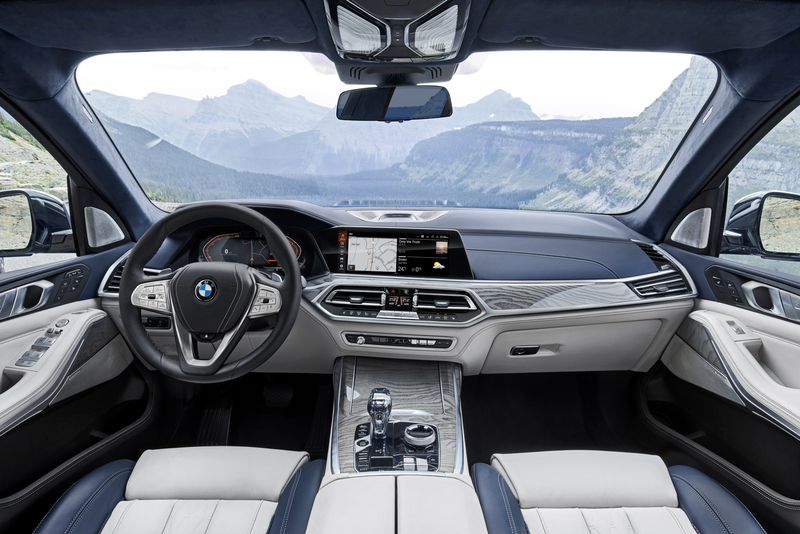 The X7 is actually more handsome than we had assumed it would be but it’s still a bit too shocking at the front. In profile, it isn’t hard to see which car BMW had in its sights when developing the X7. Proportionally, the two cars are nearly identical and look so similar it would almost be surprising if we didn’t know that the GLS was the prime target. 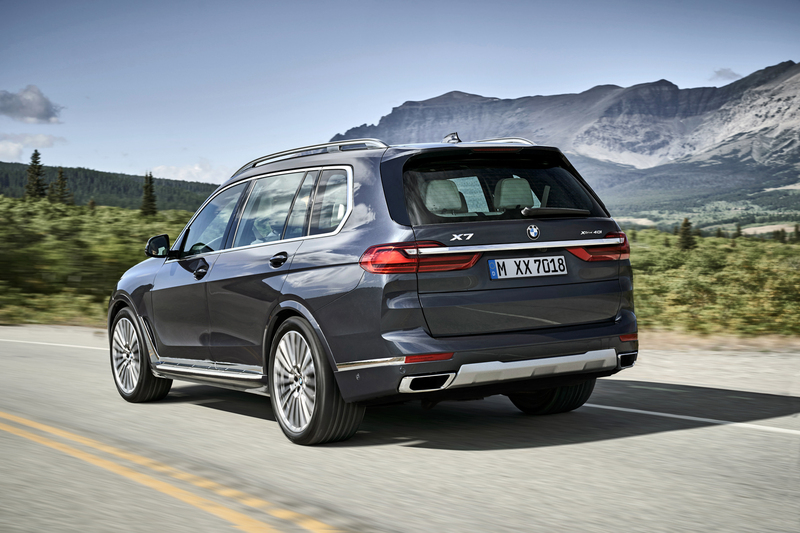 Though, we think the BMW X7 is better judged and more handsome from the side. Mostly at the D-pillar, though, where the GLS-Class never quite looked right. The fact that you could always see that small gap in the trim where the top and bottom meet at the corner of the D-pillar always looked cheap. Also, the shape of the D-pillar itself on the GLS is a bit oddly shaped. 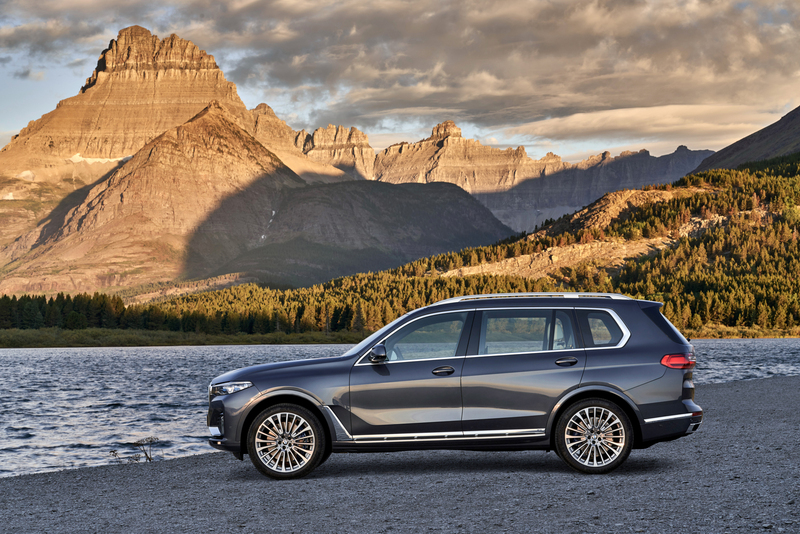 While the BMW X7 isn’t the most beautiful car in the segment, it’s handsome and stately looking. From the side, it looks tall and strong, yet subtle and elegant. Its Hofmeister Kink is well judged and it has just enough character lines to make it interesting without being fussy. So the X7 wins here. Out back, the Mercedes-Benz GLS-Class again just looks a bit off. It’s not bad looking, it just sort of looks like the designers at Mercedes couldn’t quite decided on what they wanted for the rear end and just settled. Whereas the back of the X7 is very clean and tight. It’s funny, the taillights and trim bar are similar to what you’ll find on the current 7 Series but the setup looks better on the X7. The back of the Benz isn’t bad looking it’s just not as clean or as tidy as the X7s, so the Bimmer wins again. Inside, the decision is going to come down to personal preference, to be honest. Both are very good looking inside but it’s hard to pick which is best because there’s a massive gap in time between the two. The BMW X7 is far newer than the GLS, so it’s not exactly fair to say that its tech is better or that its screens are better integrated. Having said that, it’s sort of refreshing to see the interior of the Benz, which isn’t dominated by screens or technology. Though, the X7’s design is a bit cleaner, with less buttons and a simpler layout.